I currently have 10 projects on the needles. All projects needed for Christmas, as well as all personal projects are currently cast on. With the exception of 3 to 6 mini stockings that should take me about 3 to 6 hours to make. So, from now until the end of the year, I will be doing nothing but finishing projects. I also have 4 spinning projects on the wheel or spindles, though I cannot promise I won’t start new spinning during this time period. Now, a lot of these 10 knitting projects are ones which have been sitting on the back burner for a super long time, but I’ll list them out anyhow and we will see how far I can get. Christmas knitting for Julie. I’ve got a skirt that I just blocked but is waiting for its matching top before I show them off and then wrap them up. 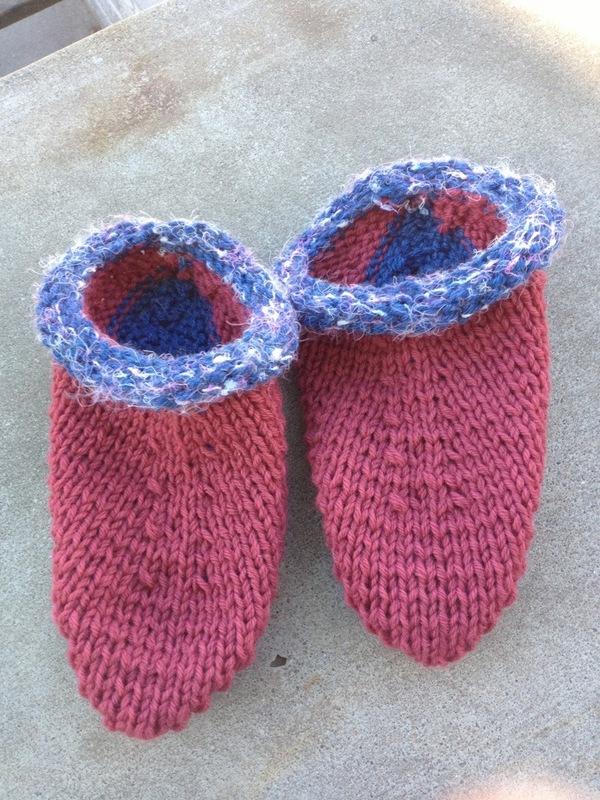 I’ve got a pair of Fiber Trends felted clogs to do for my mom. Don’t worry, she already knows about them. These should take some priority, as I’ll be sending them either not felted at all, or lightly felted, so that she can felt them at her house, ensuring a proper fit. There is a pair of gloves for Jeremy on the needles right now. They match the scarf and hat that Sarah made him. I am hoping to work on them this weekend so that I have his hands around to measure on. Once one is complete, I’d be able to finish the other using the first to measure against. My Rasta Man Wingspan is still on the needles, holding steady on wedge number 7. I’ve been working on it during times which I need truly mindless knitting but it certainly has taken a back seat to Christmas knitting. 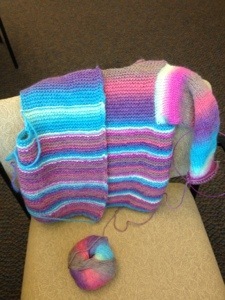 Bug’s Sawtelle cardigan needs to be finished. I am currently on the first sleeve. 2 sleeves, a collar, and some buttons and I am done with that crazy sweater. I don’t think I’ll even try it on her. I’ll just block it, then wrap it up and put it under the tree. It will be big on her no matter what, I planned that on purpose. I then have my meadowlark vest, with a complete back and nothing else done. I am guessing it won’t take a ton of time to finish, but I just really haven’t had an overwhelming urge to get it done at this point. I have a started Color Affection shawl. I started it on my summer vacation, and then quickly realized it is one of the most boring knits ever and it hasn’t seen the light of day since. I’ve pulled it out for December. The next two projects are reaching WAY BACK into my projects. I don’t think I’ve touched either of them in ages and ages. The first is my Lizard Ridge blanket out of Noro Kureyon. The second is my Girasole shawl. My counts were off when I put it down and it always seemed too overwhelming to pick it back up and figure out where I went wrong. To be honest, these two projects are where my finishing month could all fall apart. It is going to be really tough to stick it out once I get to this point. IF I get to that point. and the BFL/Silk I am spinning on my tibetan. Which brings me to my one finished object, the cotton/wool/silk/hemp I have been spinning on my russian. 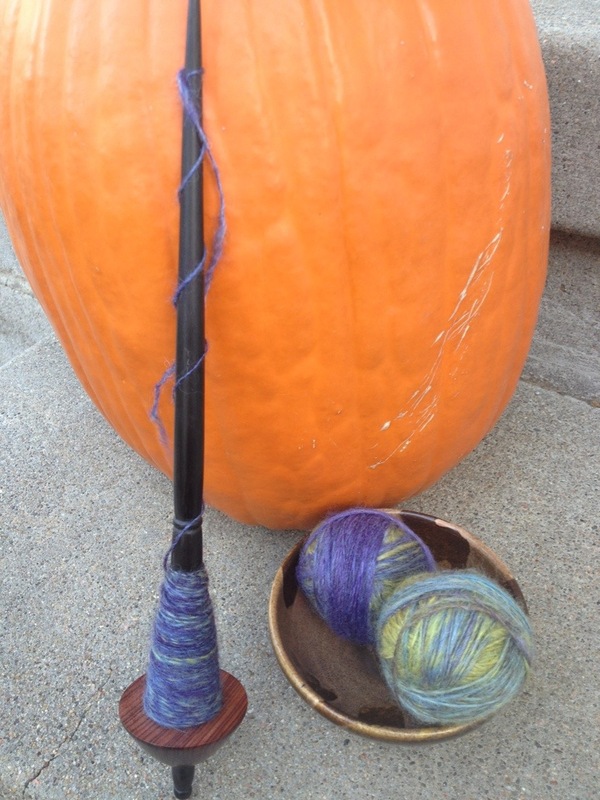 I finished up the spinning yesterday morning and got started plying as soon as I got home yesterday afternoon. It is spun long draw, and it is thick and thin and slubby due to the nature of those batts. I love it, it is quite soft and has a ton of interesting texture. I have no clue what to make with it, but I am really pleased with the result and am happy to be adding it to my handspun stash. 180 yards of 2 ply. It was very disappointing. Of course, my immediate reaction was “I can fix that!” And, it wasn’t enough to leave it be until we got home, I had to inspect it right then and there. 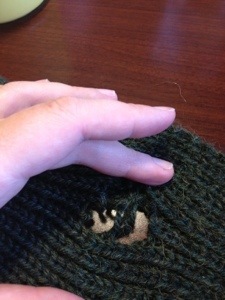 Thankfully, it was about 6 inches away from the bind off edge, so I was able to unravel it all the way back to the hole. Dear Sarah-you hide your ends extremely well, the hardest part was finding them. So, it is still a mystery what happened to that scarf. There was an entire section of weak yarn that just fell apart as I was unraveling it. The stuff near the hole looked like it was actually cut. 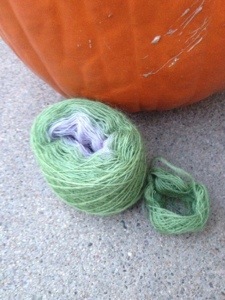 When I got done unraveling I had sections of yarn I could not use, and two small balls of yarn that I could use. I then texted Sarah to see what size needles she’d used, since I know her knitting so well that I know I’d need to go down a few needle sizes. And that evening, I set to work repairing the scarf. I used russian joins on the yarn. One of the balls had quite a few weak spots in it, and I dutifully cut out the weak spots and rejoined the yarn. I maybe lost an inch of scarf, which isn’t all that noticeable. 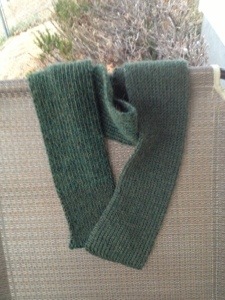 Furthermore, once I am done with the matching gloves, I may have a little extra yarn to add to the scarf, who knows! Bug has recently expressed some interest in spinning. I suspect all my time with my spindles is rubbing off and making it seem attainable for even her. I asked her recently if she’d want to give it a try and her answer was in the affirmative. Since we had a little time this vacation and since she has been more focused on indoor activities, I gave her some wool/mohair/sparkle stuff and an old toy spindle and had her go to town. She blew me out of the water with her determination and focus on it. 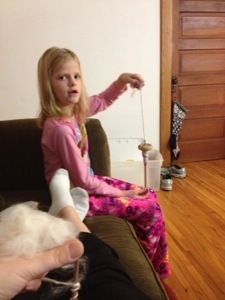 She actively wants to learn, listens, and adjusts her spinning to accommodate what I’ve taught her. She spun at the restaurant, she spun in the car, she took it in with her in hopes to have some extra time at the hairdresser’s. When we got home, she took a break, spending a little time playing with her friends and then decorating the tree. But soon after, she was back at it. 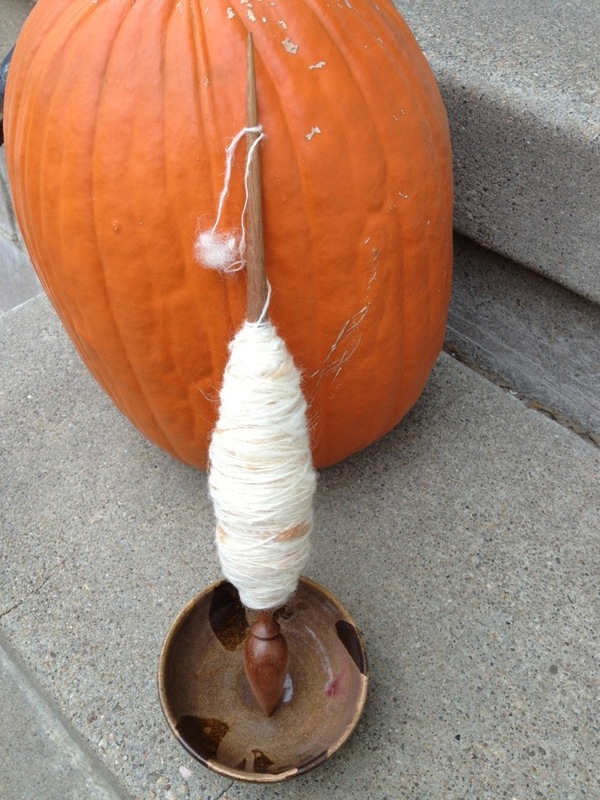 She sat next to me all evening long, “spindling” while I spun on my supported spindle. She “spindled” all through her Sunday evening TV show, and then asked to take it up to bed with her. “I promise I won’t spin all night” she says. This morning she wanted to take it to school. 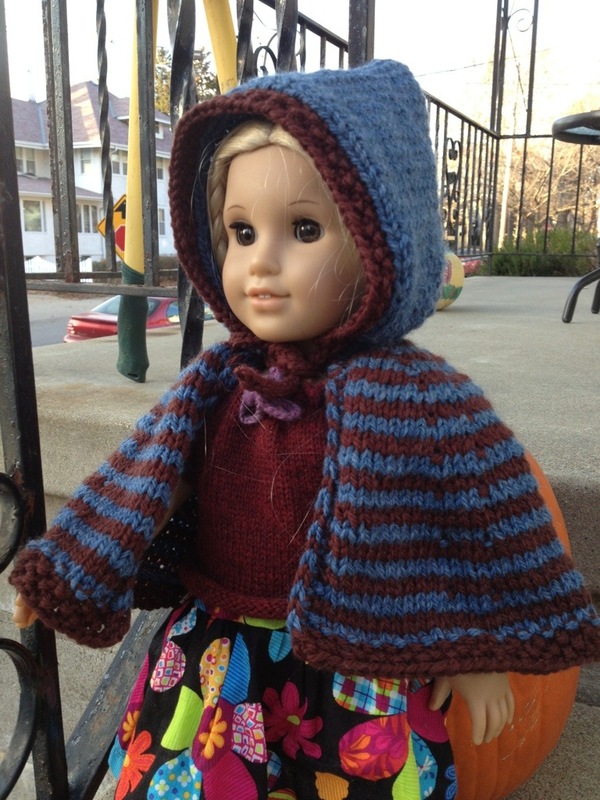 She has asked for her own spindle and fiber for Christmas and I am inclined to give it to her. 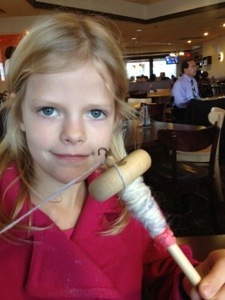 I promised that I would make something out of her yarn, but she believes that her yarn isn’t going to be knittable. In the sense that she doesn’t think it will be good enough. I disagree and have promised it anyhow. I rather love having a spinning buddy right in my own home! I decided I should spend a little more time with my Russian spindle too, in hopes that it clicks with me now that the tibetan has. And honestly? It did. It asks me to hold it at a bit of a different angle, it has less heft to its base and wants to pop off the bowl as I spin, but it is still a nicely effective spinning tool and I don’t think I am ready to part with it. Entirely unlike the Turkish spindle which I sold off about as soon as I could due to absolute distaste for the thing. 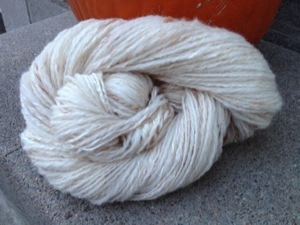 I’d started some wool/silk/cotton/hemp blend quite some time ago, but didn’t get overly far. I picked that up again and have been spinning at it quite a bit. TO be honest, the russian spindle also works best with a large cop. I think it provides it with the heft it lacks. The tibetan doesn’t spin as well with a larger cop, so this is just a difference I’ll have to work around. There really is no way to spin this yarn anything but slubby, however I am enjoying the resulting single and am eager to see how it does ply up once I am done with it. Today is our day of decorating tree and home. I’ve been cleaning a bit in anticipation of this. Trying to make it a relaxing day as my last day of vacation. I must admit, I’d have no problem filling my time if I was always on vacation at home! 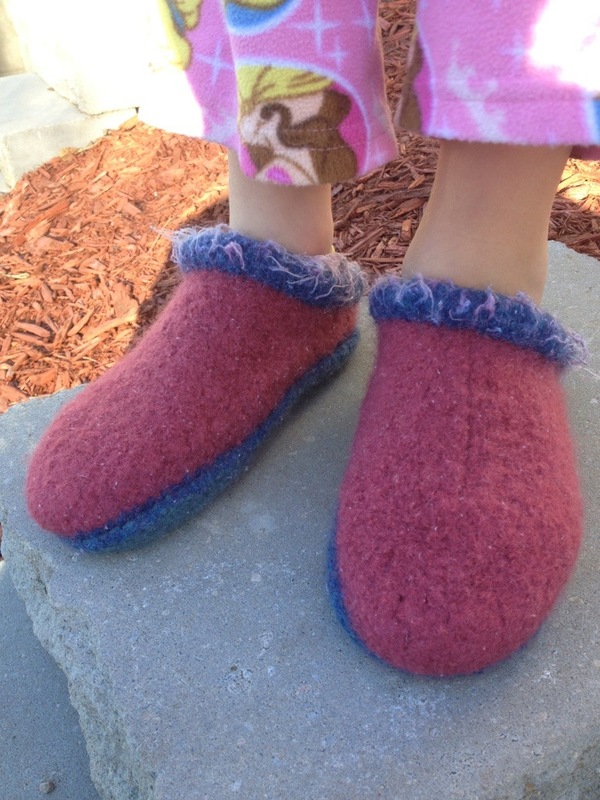 So, the next pair of felted clogs were for Bug. I used a strand of fun fur style yarn around the ankle just for some little girl like interest. Since my hot water heater was already turned way up for the fleece, I decided to felt them today so I could then turn it back down, now that one entire fleece has been washed. The first trip through the laundry yielded slippers that were still too large for her little feet. This was no surprise really because I did knit adult size slippers for her. However, I did think I could felt them down enough to make them work. After the first trip through the washer, I started to second guess myself. I sent them through the washer again and took a nap because hey, I am on vacation! When I got up, I had slippers for Bug that were too small. Go figure. However, I stretched and stretched them with her help and now they fit. Jeremy’s experience with his slippers is that they do stretch out a bit while wearing them as well, so I am trusting that these will fit Bug well enough in the end. Completely and truly, I am in love. In love with a tibetan spindle. I really just can’t stop spinning on it. Every chance I get, when I don’t have time to sit with a big project, I get out the tibetan and give it a spin. It is so addicting and I love the yarn I am producing. It is light and airy and fluffy. Less spun than my wheel spun yarn. The BFL/Silk drafts beautifully and I feel like I am actually somewhat in control of my support spindle. This has never been the case for me before! I am even contemplating trying to ply on this spindle. It might be worth a try! With the upcoming holidays, it is time to start knitting more for Julie’s wardrobe. I’ve been knitting in secret, putting it away when Bug is around so the going is a bit slow. However, I knit this lovely little cape from scraps in my stash. This picture is unblocked, but the cape is now blocking under my bed nicely hidden.